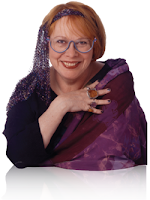 SCBWI Announces the 2011 Golden Kite Awards & Sid Fleischman Humor Award Winners! SCBWI Crystal Kite Awards Voting is Underway! Vote on SCBWI.org Today! Simply log in to SCBWI.org with your email address and password, then click through to your regional home page to cast your vote. Round 1 voting ends March 15th! SCBWI members can vote once per round for books nominated in their regional division. The top five vote-getting books in each region will become finalists and then there will be a second round of voting beginning on March 17th. (I'll remind you here, and you'll get email reminders from the SCBWI HQ). The second-round winners in each division receive a 2011 Crystal Kite Award! What are you wating for? Vote! I got to read seven terrific books. I got to work under a deadline (I miss deadlines). I got to participate in interesting and thoughtful and passionate discussions with other book lovers who read the same books as I did. It was like being in a super cool book club and made me think about the books from new perspectives. I learned to love e-books. I read all but one of the finalist books on the Kindle app on my iPad, and I will think really hard about buying a printed book anytime soon. I loved the e-reading experience and this was a big surprise to me. 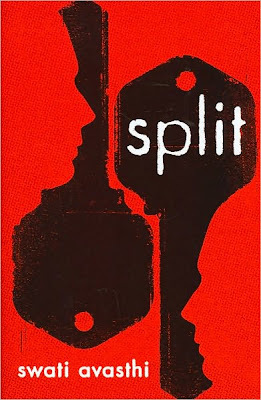 The other YA Novel judges and I chose SPLIT by Swati Avasthi (an SCBWI member) as the winning book in our category. SPLIT focuses on Jace's journey towards healing after years of abuse at the hands of his father. Forced to leave his mother and friends behind, Jace abruptly relocates half-way across the country in an attempt to reconnect with his estranged brother...Tightly-written in the first person point of view, Avasthi's prose and straight-forward dialogue leaves no detail to the imagination. Fear, torment, hope, and loathing fill the pages of SPLIT as you root for these young men to find their way to discovering how to be a family again. Congratulation to Swati on her terrific book and her Cybils win! Click here to see the list of winners in all the other categories. Since 1968, the Association of Jewish Libraries has annually presented the Sydney Taylor Book Award to outstanding books for children and teens that authentically portray the Jewish experience. The award, which encourages the publication and widespread use of quality Judaic literature--offers Gold Medals in three categories: Younger Readers, Older Readers, and Teen Readers. Honor Books are awarded silver medals, and Notable Books are named in each category. This year Howard Schwartz and Kristina Swarner, won the Sydney Taylor Book Award in the Younger Readers category for their picture book GATHERING SPARKS (Roaring Brook), and I'm thrilled to feature an interview with Kristina, an SCBWI member, who is here on a stop in the 2011 STBA blog tour. 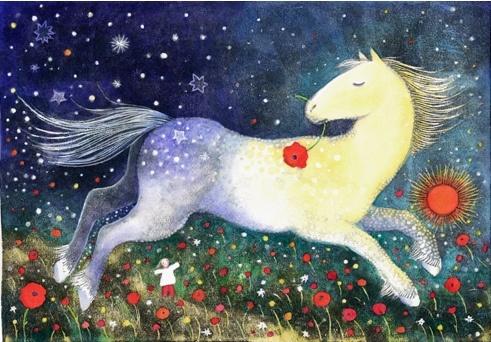 Kristina's work is often described as magical and dreamlike. She draws imagery and inspiration from memories of exploring old houses, woods, and gardens when she was a child. The RISD graduate has illustrated numerous books as well as greeting cards, calendars, magazines, wine labels, and theatre posters. Her previous awards include the Koret International Book Award in 2006 and the Sydney Taylor Book Award Gold Medal in 2008. To see more of Kristina's work, visit her website. Here's a link to the 2011 Sydney Taylor Book Award blog tour. Be sure to check out interviews with all the winners! You recently won a Sydney Taylor book award for your picture book GATHERING SPARKS. Would you tell me and my readers a little about this book and what drew you to the project? 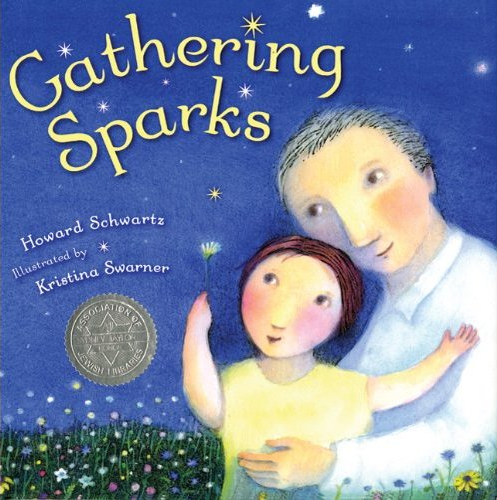 I'm quoting Howard Schwartz here: GATHERING SPARKS was inspired by the essential Jewish teaching of tikkun olam, repairing the world. This was the primary teaching of Rabbi Isaac Luria, known as the Ari, who lived in Safed in the 16th century. In linking the stars with good deeds, I was drawing upon an interpretation of the Ari’s myth of the Shattering of the Vessels and the Gathering of the Sparks. This interpretation proposed that when the vessels filled with primordial light shattered, as takes place in the Ari’s myth, not only did they scatter holy sparks everywhere, but they also created the stars. According to the Ari, by following the mitzvot, the commandments, or by doing a mitzvah, a good deed, these holy sparks will be gathered, and the world will be repaired. I was attracted to the project because I love working with Howard--he has an endless wealth of stories--and because the story is both beautiful and has a universal resonance. The theme of caring for and repairing the world is very important to me. GATHERING SPARKS won a Sydney Taylor Book Award Gold Metal. What does winning this award mean to you? How did you feel when you learned you'd won? I'm in such good company, past and present, that the award truly is an honor. I won the award (for THE BEDTIME SH'MA) in 2008 and was delighted, but when I found out that I'd won it again this year I woke my kids up by jumping up and down and yelling. Your style is so soft and beautiful--it has an ethereal quality. Will you tell us about your technique? I begin with a black and white linoleum print that helps me get the positive and negative shapes and the underlying texture. Then I go over it with watercolor and colored pencil. I try to leave the white of the paper where I can, so things like stars really glow. This flying horse image, which appeared in CRICKET in 2010, exemplifies the dream-like style of Kristina Swarmer's work. 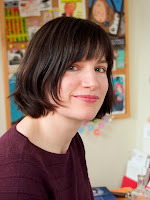 As an illustrator, what advice can you offer others who aspire to illustrate picture books? Keep doing what inspires you, and what you really feel. If it bores you or you don't like it, make another drawing. Look at artists' work you like, but do things your own way. It's best to approach established publishers. (The SCBWI guide has a very useful list of publishers who accept submissions.) Ignore or politely refuse people who tell you, " I have a GREAT idea for a story; my nephew loves it, and I need illustrations so I can send it to a publisher!" Put your portfolio up on a website like theispot.com. 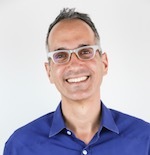 Join SCBWI! It's a great resource for both professional knowledge and networking. Do you have upcoming projects you could tell us about? I'm working on a few books which I can't say too much about yet, but I've also been having fun working on a bunch of theatre posters lately, which is appropriate, because I sometimes think of the pages I'm illustrating as little stages. I think I've finally recovered from my eight days in New York for Digital Book World and the 2011 SCBWI Annual Winter Conference. After sleeping in beds in two different hotels, toting a 47-pound suitcase and a heavy laptop, tons of tweeting, boatloads of blogging, a few too many cocktails and conversations, and so not enough sleep I needed a chiropractic adjustment, a massage, a manicure, a facial, two yoga classes and a few days not involving alarm clocks. Now that that's all taken care of, I've been enjoying clicking around reading blog posts about the Winter Conference. It's enlightening to hear other people's perspectives and learn what they take away from events. After all, a conference is a different experience for each and every one the attendees--and with 1100-ish people in the audience for the NYC event, there are a lot of perspective to be shared. Below is a roundup of Winter Conference roundups--including recaps, a tweet roundup, takeaway lists, and even some photos. Whether you attended the event or not, there's plenty to learn from these bloggers. I've included a snippet of each post. Click on the titles to read the full reports. The Society of Children’s Book Writers and Illustrators Winter Conference in New York City is one of my favorite writerly events of the year. After all, what writer could resist the opportunity to hear legends of the children’s book world speak about writing? And then there’s the energy. When you fill a room with over one thousand writers, illustrators and industry professionals who are passionate about children’s books, you can feel the sizzle and excitement in the air. Here are some of the highlights. Everyone – and I mean, EVERYONE (that’s right, NPR) – is talking about e-books and new media. While adult e-readers are already a major part of consumer culture, childrens’ apps and e-books are still in their infancy (pun intended). People seem to have a special concern and defensiveness reserved for the future of kids’ books – after all, who wants their kids’ future reduced to bedtime stories curled up with an IPad? I've just returned from a fantastic trip to New York, where I finally made it to the SCBWI (Society of Children's Book Writers and Illustrators) annual winter conference. I'd been wanting to attend one of these since we moved to Toronto. So I booked my ticket. Huge discovery this weekend: Twitter isn’t only for organizing revolutions. It’s also good for keeping tabs on what’s happening at that awesome conference across the country you weren’t able to attend. OK, in all honesty, I did know that. But the coolness of Twitter hit home this weekend while I was here in Arizona and a slew of my writer friends were cavorting at the SCBWI conference in New York. Another excellent SCBWI conference has finished, but if you missed any of the action, hop on over to the TEAM BLOG official conference blog to catch up on EVERYTHING!! It was a great time, it was crazy weather, and there were even some shenanigans. Here are my pics from behind the scenes! Recently, I attended the 2011 SCBWI Winter Conference in NYC. It's always interesting to hear about trends, publishing shifts, new editors and art directors, and learn from the veterans, such as illustrator and writer, Jules Fieffer, and editor, Patricia Lee Gauch. I love running into other writers I know, as well as meeting new ones. Since I tend to remember things in bullet points, I created a list. I hope some of these will amuse and inspire you too. Okay, I tried to make this a "Top 10" list about my take-aways from the 2011 SCBWI Winter Conference, but there was just too much good stuff to share! Members: Nominate Your Book for the Crystal Kite Member Choice Awards! The Crystal Kite Member Choice Awards are the most recent awards added to the amazing list of awards and grants offered annually by SCBWI. Voting had kicked off a few days ago, but SCBWI heard from members who hadn't gotten a chance to register their books for the competition. Well now those members have another chance! As of February 4, Crystal Kite voting has been suspended so every qualified member has a chance to make their books eligible for the awards! To register your book log in to your SCBWI Member Profile on scbwi.org, enter your book information on the "Publications" tab, and make sure that you've clicked the box that reads "Yes, I would like to submit this publication for Crystal Kite Awards nomination." For more detailed instructions, click here. The first round of voting redux will start Wednesday, February 16, and continue until midnight (PST) on March 15th. (I'll remind you here, and you'll get another email reminder from SCBWI HQ.) The top 5 vote-getters in each Regional Division will advance to the semi-final round of voting, which now begins Wednesday, March 17. For a list of regional divisions and complete SCBWI Crystal Kite Member Choice Awards guidelines please click here. If you have trouble registering your book for the awards, call SCBWI HQ at (323) 782-1010, and a kind SCBWI staffer will be happy to walk you through it. For specific questions, email SCBWI Crystal Kite Award Coordinator Christopher Cheng at chris@chrischeng.com. has been extended to March 1st, 2011! The grant, named after a beloved character created by author Paula Danziger, brings a guest author to a school that cannot normally afford to do so. One school will be rewarded with an all expense paid, full day visit by a well respected children’s author or illustrator. The chosen school will also receive a $250 stipend to assist in creating this memorable event to celebrate reading, learning, and children’s literature and $250 worth of books by the visiting author. Additionally, one runner up school will be selected and rewarded with books valued at $250. If you know of a school that would qualify, please send them here for the application. Click here to read a guest post from SCBWI's Amber Brown Grant coordinator Gee Cee Addison about her experience visiting the school that recieved the grant in 2010.